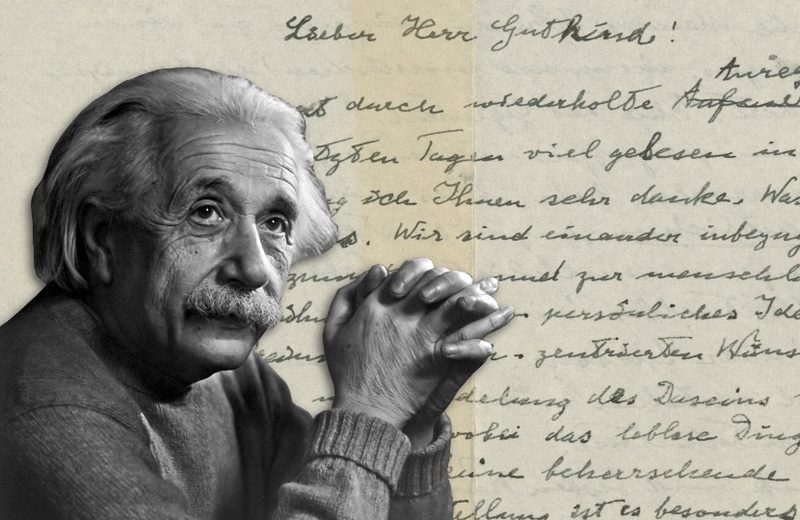 An Albert Einstein letter on his religious beliefs, known as the “God letter”, has sold for almost $3 million during an auction at Christie’s in New York. 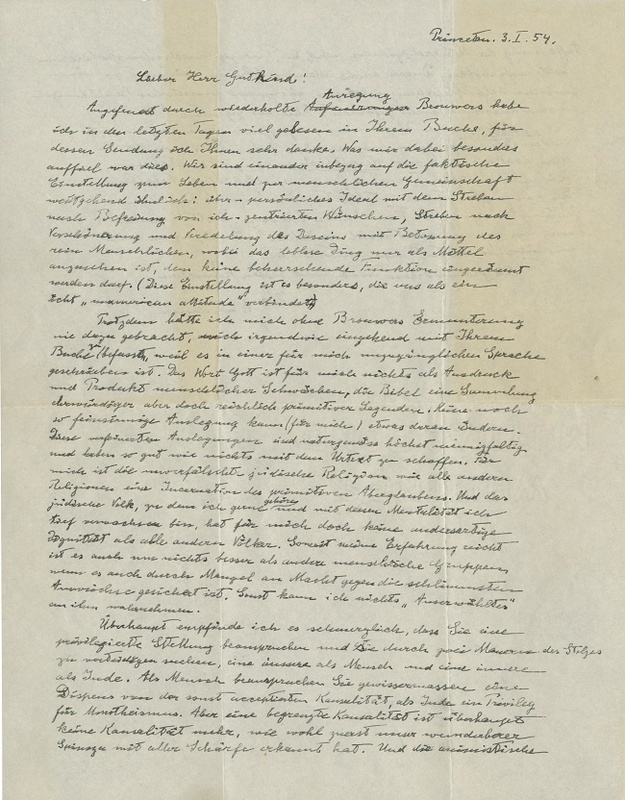 Offered with a pre-sale estimate of $1 – $1.5 million, the letter eventually sold on Tuesday (December 4) for $2,892,500, achieving a new world record price for an Einstein item at auction. The letter was written in 1954 to the philosopher Eric Gutkind, in response to his book Choose Life: The Biblical Call to Revolt. 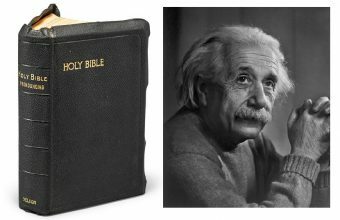 Gutkind had sent Einstein a copy of his book, and he had read it at the insistence of the Dutch mathematician and philosopher L.E.J. Brouwer. His reply, written just weeks before he celebrated his 75th birthday, was a polite but firm rejection of the book’s entire premise. “Inspired by Brouwer’s repeated suggestion, I have read a great deal in your book in the last few days: thank you very much for sending it to me,” Einstein writes. “Nevertheless, without Brouwer’s encouragement I would never have brought myself to engage at all closely with your book because it is written in a language which is inaccessible to me. “For me the Jewish religion like all others is an incarnation of the most childish superstitions. And the Jewish people to whom I gladly belong and with whose mentality I have a deep affinity have no different quality for me than all other people,” he wrote. 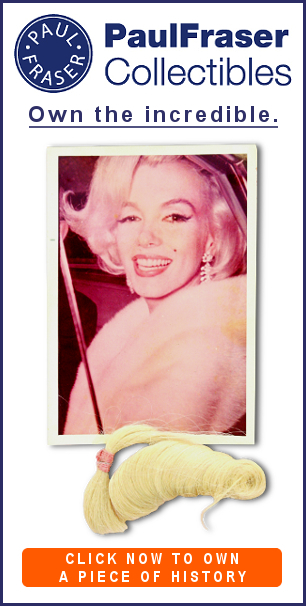 The letter had spent more than half a century tucked away amongst Gutkind’s personal papers, before selling at Bloomsbury Auctions in 2008 for $404,000. 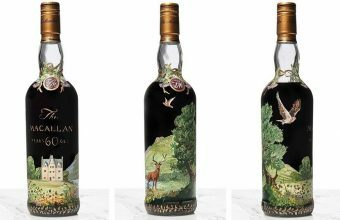 In 2012 it was offered for sale on eBay with a starting price of $3 million, but according to reports it failed to find a buyer. However, the soaring market for Albert Einstein memorabilia meant that this time around there was strong competition for the letter. 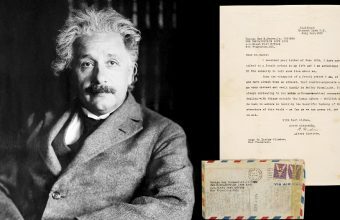 The previous record had stood since 2002, when a letter from Einstein to President Roosevelt on the development of the atomic bomb sold at Christie’s for $2,096,000. “The most beautiful emotion we can experience is the mystical. It is the power of all true art and science. He to whom this emotion is a stranger, who can no longer wonder and stand rapt in awe, is as good as dead.